Lanius ludovicianus Linnaeus, 1766, Louisiana. Up to 12 races described; some of them poorly differentiated. Variation affects size and plumage coloration, particularly of the back and under-parts. 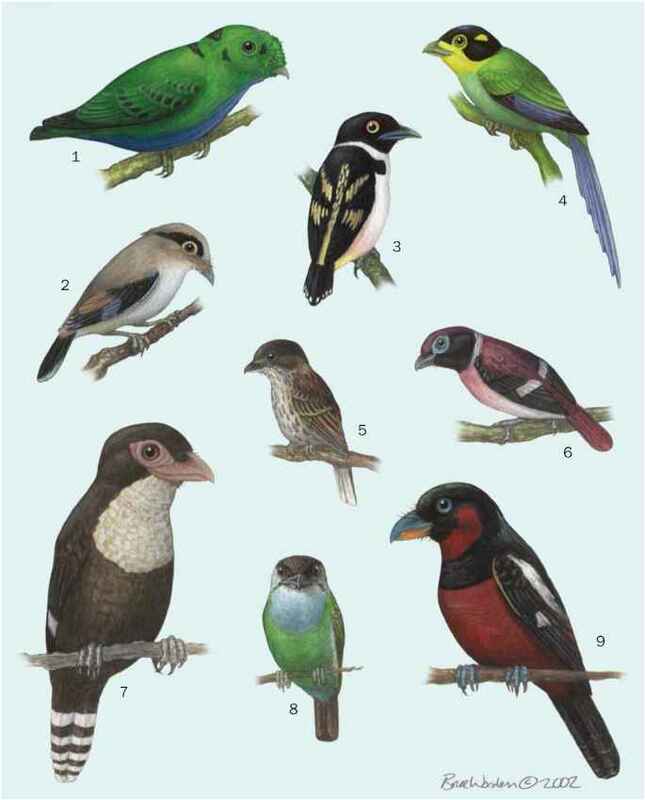 English: Migrant shrike; French: Pie-grieche migratrice; German: Louisianawurger; Spanish: Alcaudon Yanqui. Usually solitary or in pairs, but curious group meetings have been reported. Size of territory varies with habitat quality and averages about 25 acres (10 ha), but appears to be three times as large in the rare San Clemente race. Territory is defended with loud song and harsh territorial calls that may be produced in flight. It hunts from an elevated perch (6.6-33 ft [2-10 m]) and catches most of its prey on the ground. Impaling is regular; prey weighing more than about 1.1 oz (30 g) may be carried in the feet. 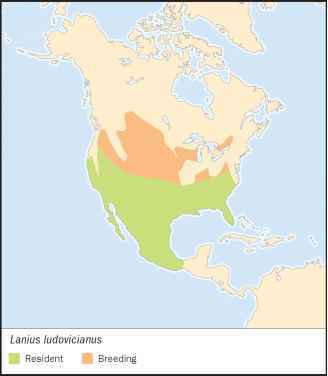 Populations nesting north of about 40°N migrate and may move into areas with resident birds; most leave between September and November and return in March or April. In some southern areas, pairs maintain territories throughout the year; but in others, they separate and often defend adjacent territories. Territorial and normally monogamous. Even in well-populated areas, nests are normally several hundred yards (meters) apart, but small colonies have been reported occasionally. Northern populations are single-brooded, whereas second broods are common and third broods occasional in southern areas, such as Florida. Replacement clutches are frequent everywhere. Female usually lays four or five eggs (ranges one through seven); clutch size seems to vary with latitude. Female alone incubates for about 16 days; she is fed in the nest by the male. Nestling period is 16-21 days according to weather conditions. The young are independent four to five weeks after fledging, but they may stay up to three months with the parents.